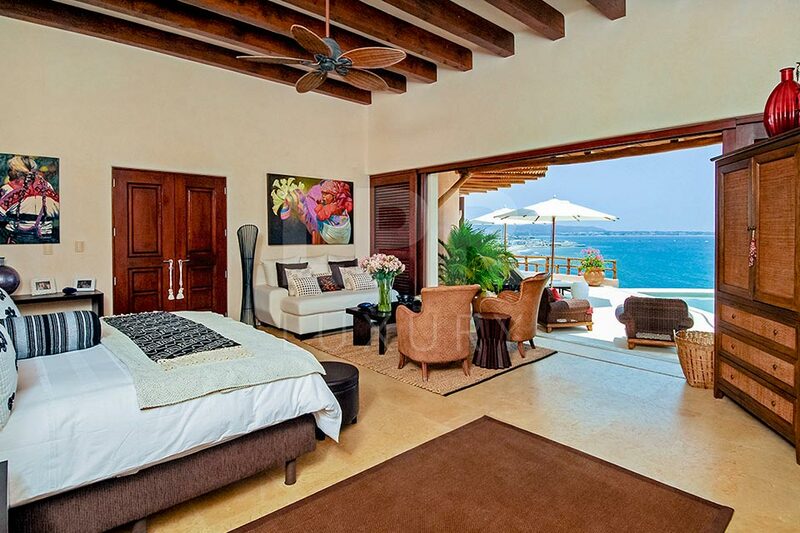 Overlooking the pristine white sand beach and enchanting coastline of Real Del Mar, there sits a bijou villa known as Villa Real del Mar 2. 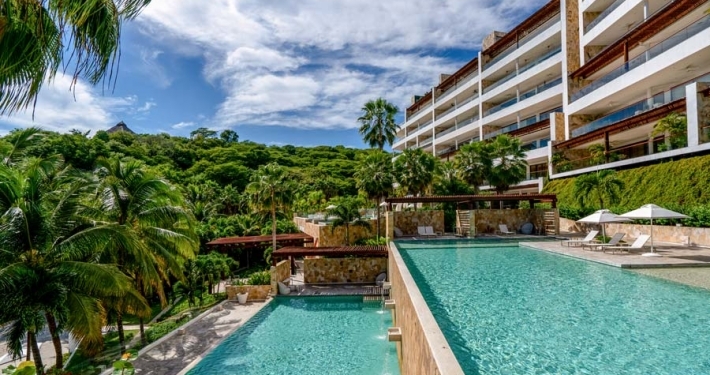 Whether for corporate retreats, families or groups friends, there is something for everyone at this gated luxury destination. 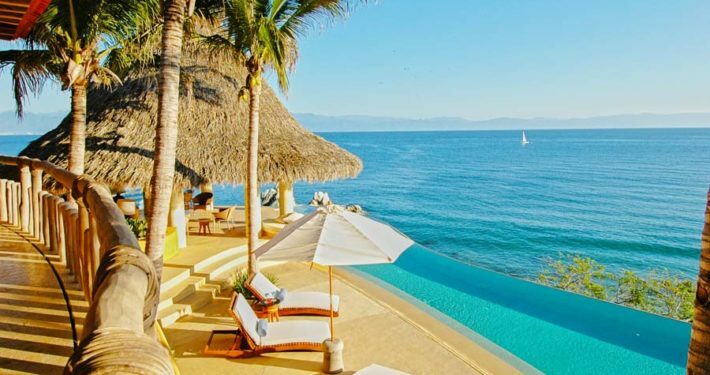 The curved infinity edge of the swimming pool allows its waters to visually merge with the azure ocean below. 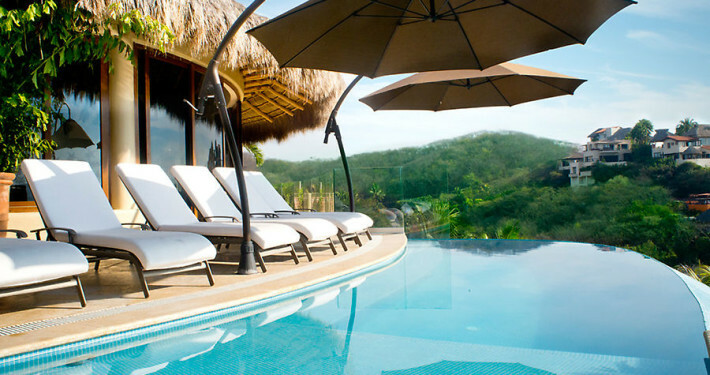 The pool deck offers sun loungers, armchairs and parasols for lounging in either sunlight or shade, or under the stars. 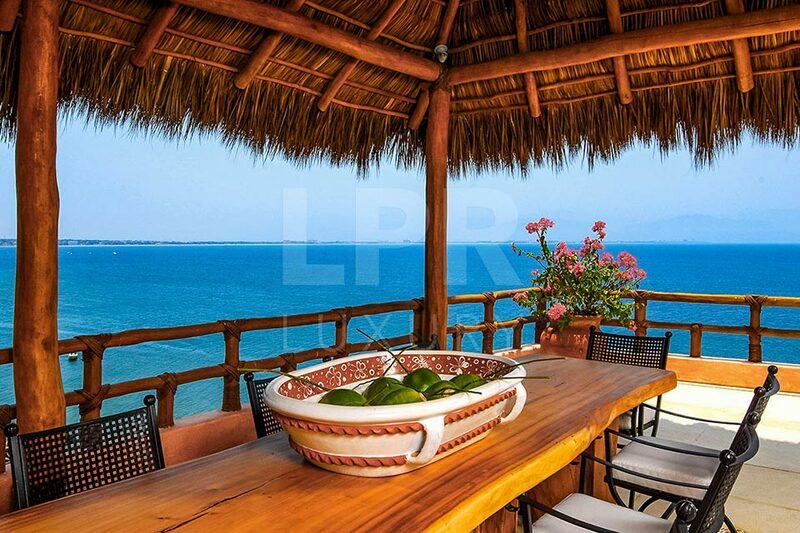 Fire up the BBQ and enjoy some alfresco dining within the covered palapa, with nothing but the sparkling ocean in your gaze. 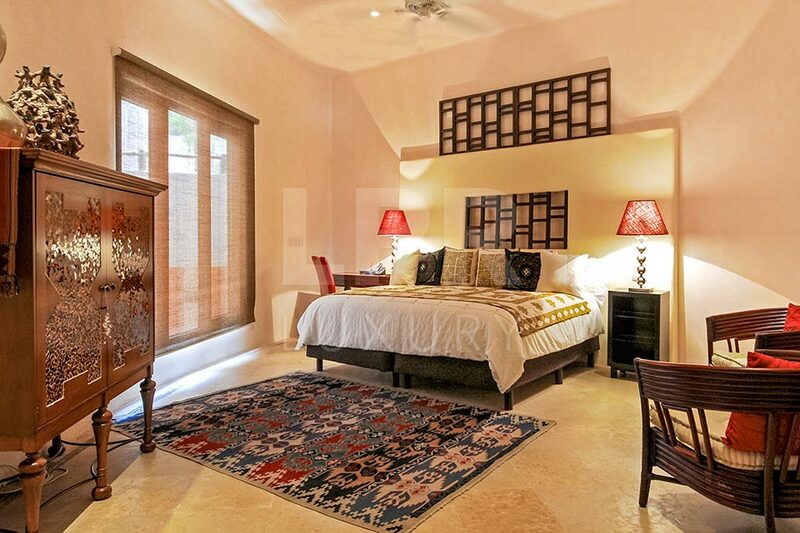 Indoors, you will find a TV, a media and games room, an on-site spa and an elevator to travel between levels. 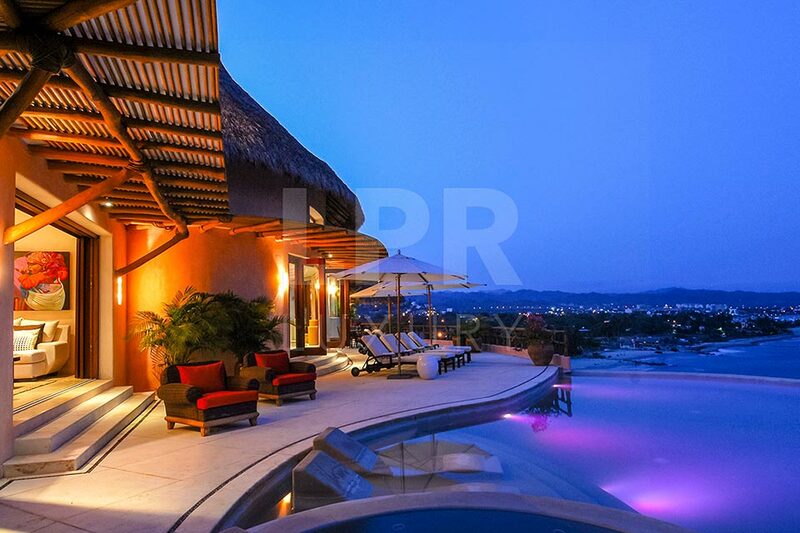 Within a five minute walk from this stunning villa are fabulous amenities including a private beach club with two clay tennis courts, a full service spa with gym and a private restaurant. 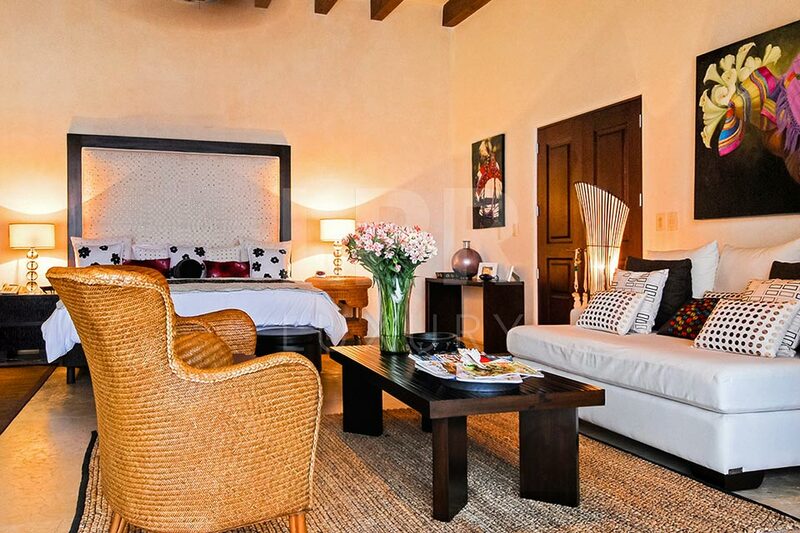 Your reservation includes daily housekeeping and 24/7 security. 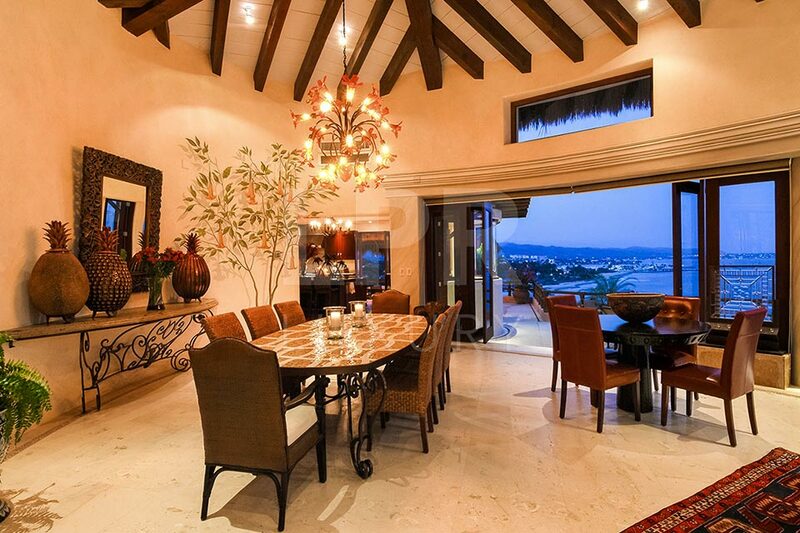 The open plan living, dining and kitchen areas have magnificent high vaulted ceilings and easy access to the terrace. 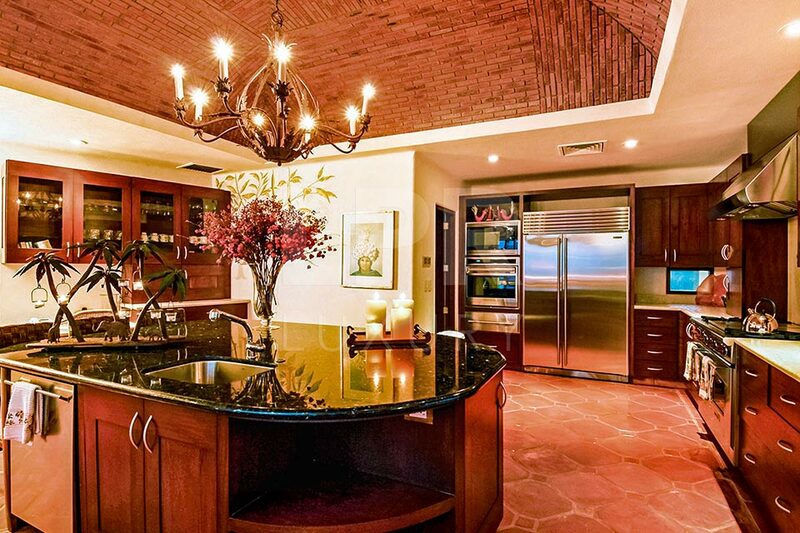 The kitchen includes an enormous center island bar. The dining area with a modern chandelier overhead makes a wonderful setting to share any special news over a delightful meal. 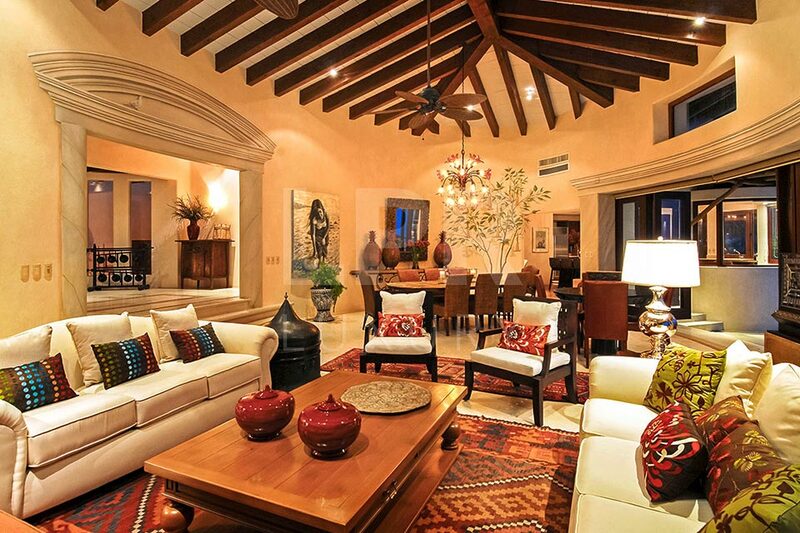 Cozy white couches in the living area make a splendid spot for a game of cards or a good book. 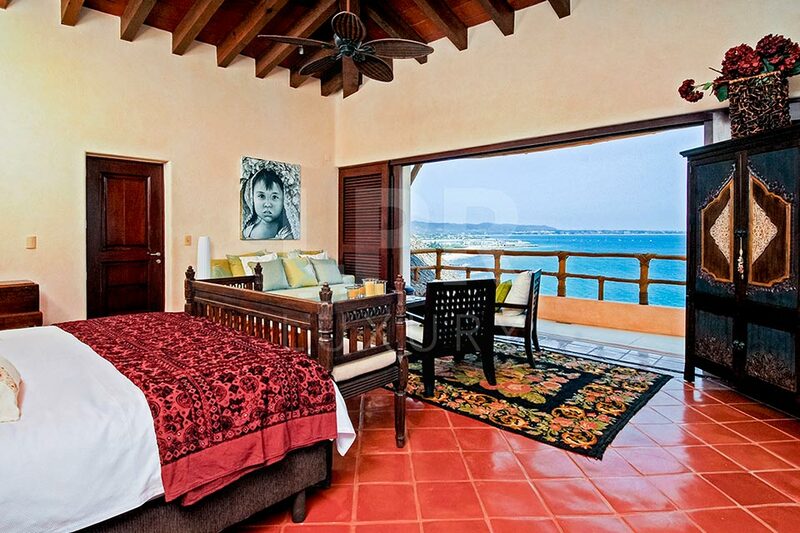 Six immaculate and artfully appointed bedrooms accommodate up to twelve guests at Villa Real del Mar 2. 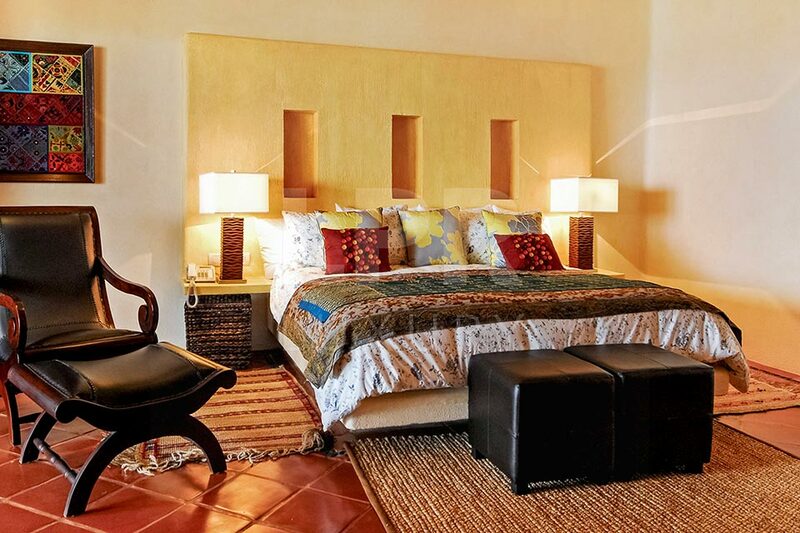 All of the bedrooms include an en-suite bathroom and air conditioning. 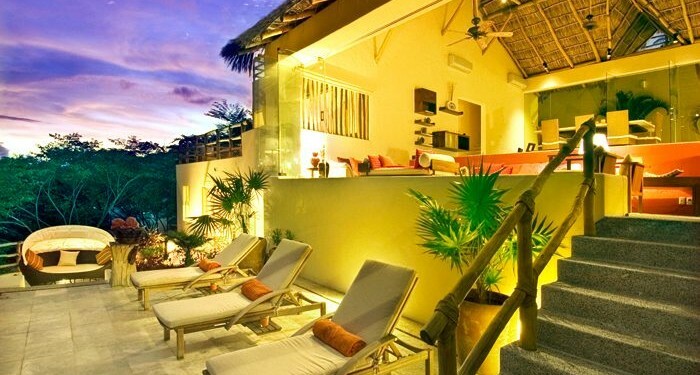 Whether opening onto a terrace or a balcony, you are sure to relish the utmost of indoor/outdoor living in these suites. During the winter and early spring seasons, the bay is visited by whales and dolphins, and other interesting sea characters. Every day, the aerial dance of pelicans gliding along the tips of the ocean waves never ceases to amaze. 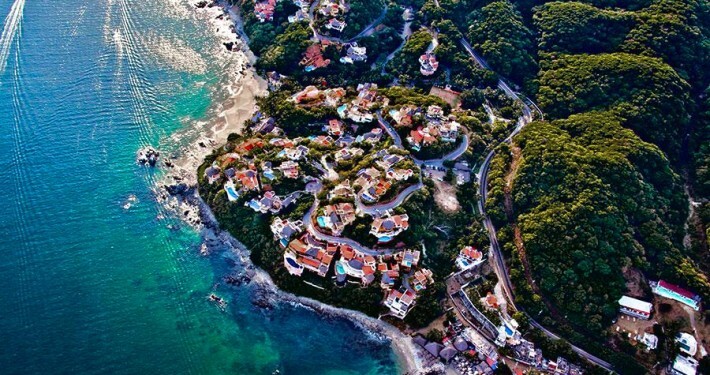 From golf, to fishing and water sports, there are no shortage of options in Puerto Vallarta. 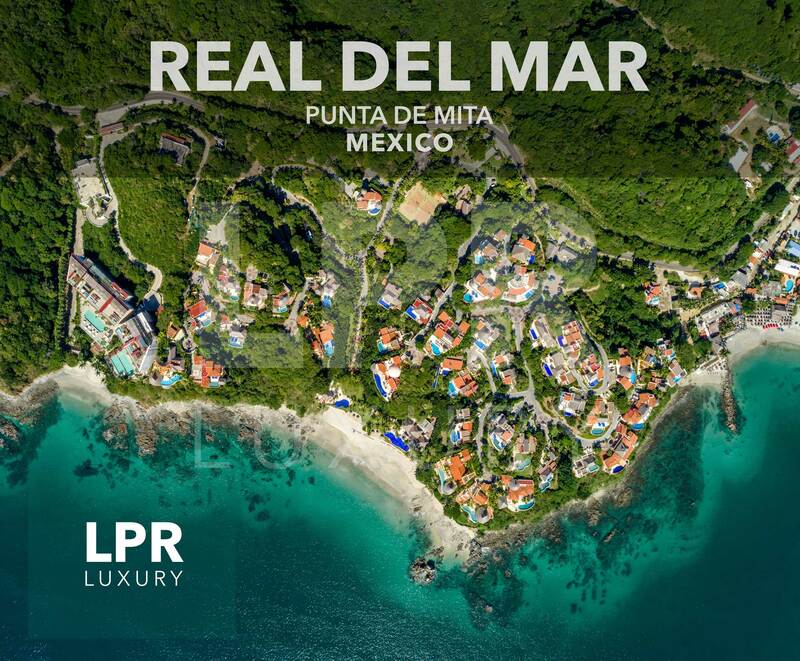 Nestled among the estates and beautiful, lush gardens of Real del Mar, a luxurious, gated community on over 30 acres with multi-million dollar homes, this sumptuous 6 bedroom, 7 bathroom villa has gorgeous sea views from all rooms. 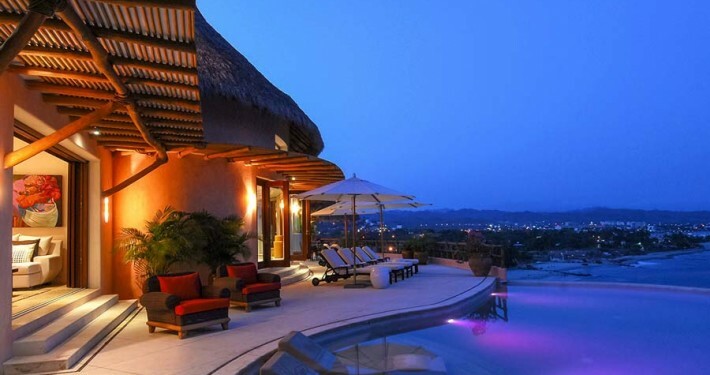 Villa Real del Mar 8 at Punta de Mita was designed for pampering and high end service. 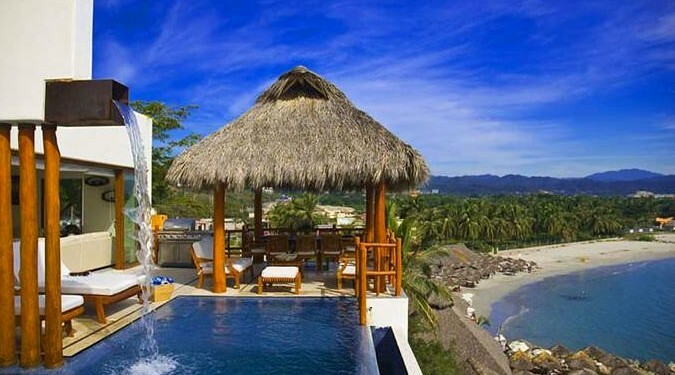 Enjoy your 4 luxury ocean view suites, an infinity pool with Jacuzzi overlooking the bay to Puerto Vallarta, flat screen TVs, Bose sound system, a gym and Spa with signature spa treatments. 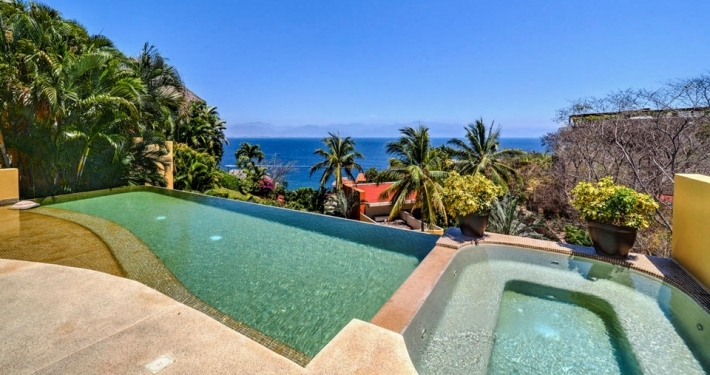 Secluded within a gated community in Real del Mar, this Puerto Vallarta vacation rental villa offers the attentive services of a luxury hotel. 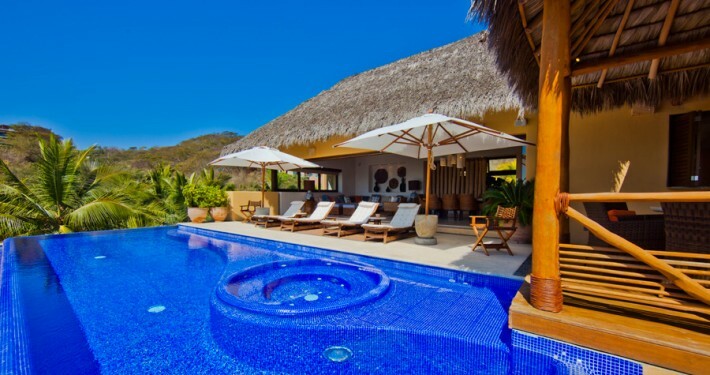 Why spend a fantastic week at Villa Real del Mar 4? 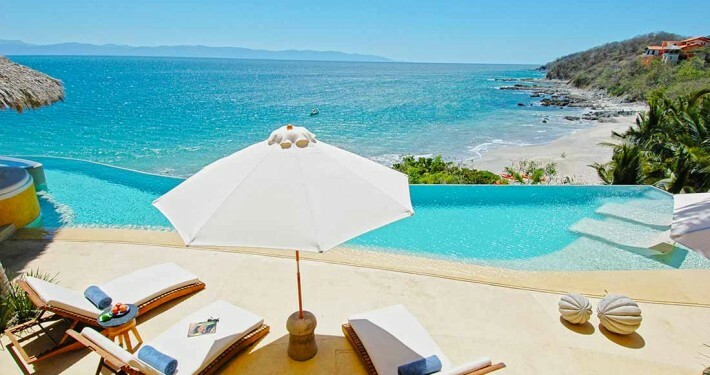 With the entrancing, endless, exquisite ocean, beach, village, mountain and distant city views, the community, house and its staff are excellent. 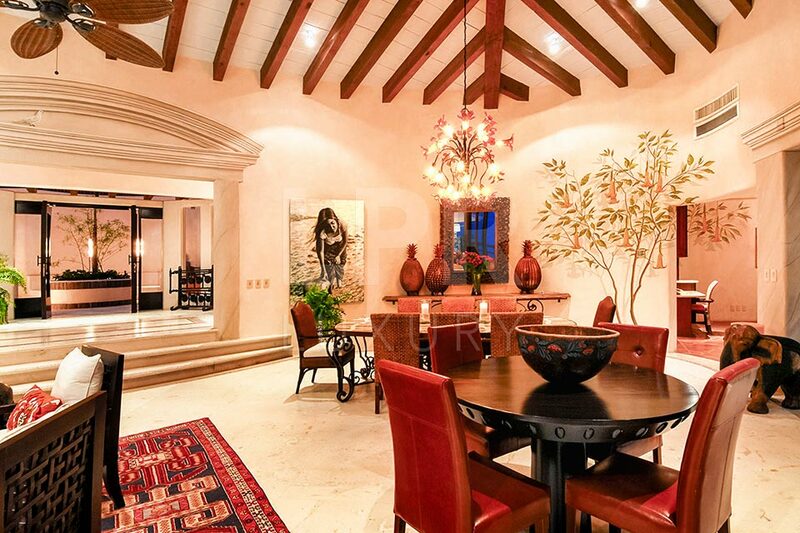 This residence is set in a small hill in Real del Mar with a nice ocean view, surrounded by exotic vegetation. 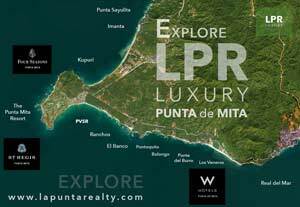 Private infinity edge pool plus an incredible lap pool, nice large terrace, garden area and direct access to the beach club. 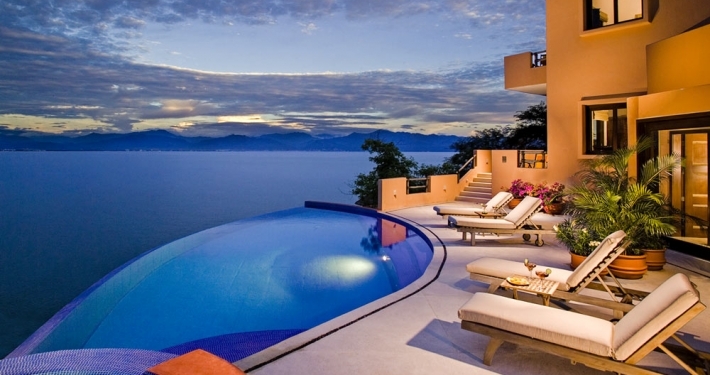 Overlooking the Bay of Banderas to Puerto Vallarta in the distance, Villa Real del Mar 11, designed by renown architect Manuel Mestre, el Maestro of Zen vacation villas in Mexico. 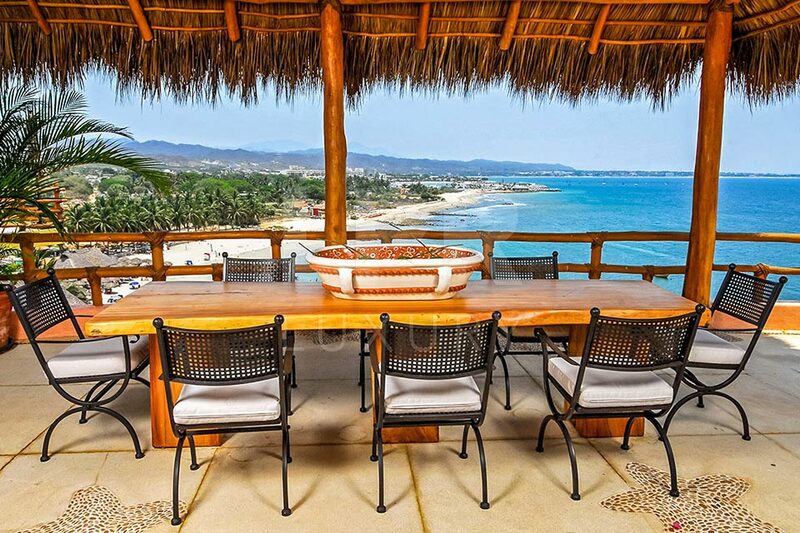 Villa Real del Mar 7 is a romantic five bedroom vill on top of the exclusive luxury residential resort community of Real del Mar in La Cruz de Huanacaxtle at the base of the Punta de Mita peninsula. 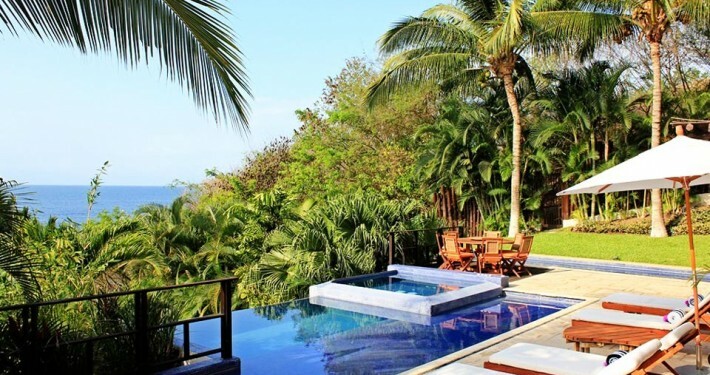 Perched on a hill overlooking Manzanillo beach, La Cruz de Huanacaxtle, Villa Real del Mar 3 is exquisitely details and spectacular sunrises and sunsets. 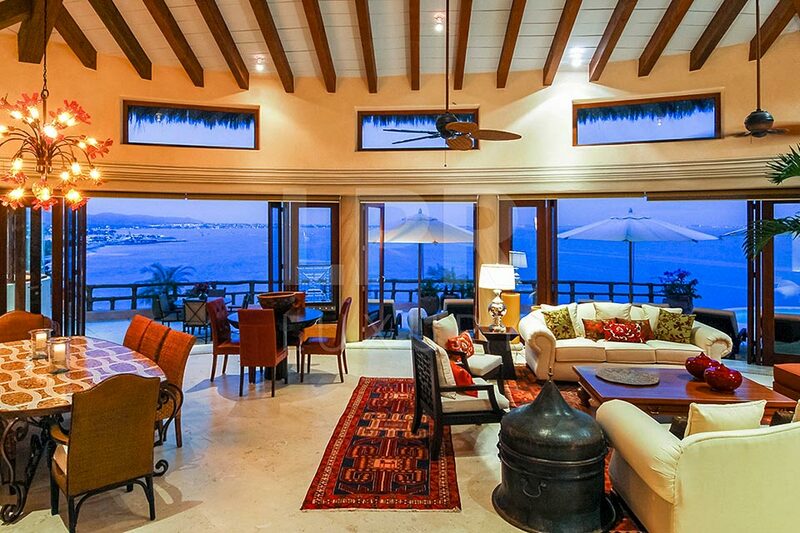 Villa Real del Mar 9 sits high above the nearby town of La Cruz and you'll enjoy stunning views of the ocean. 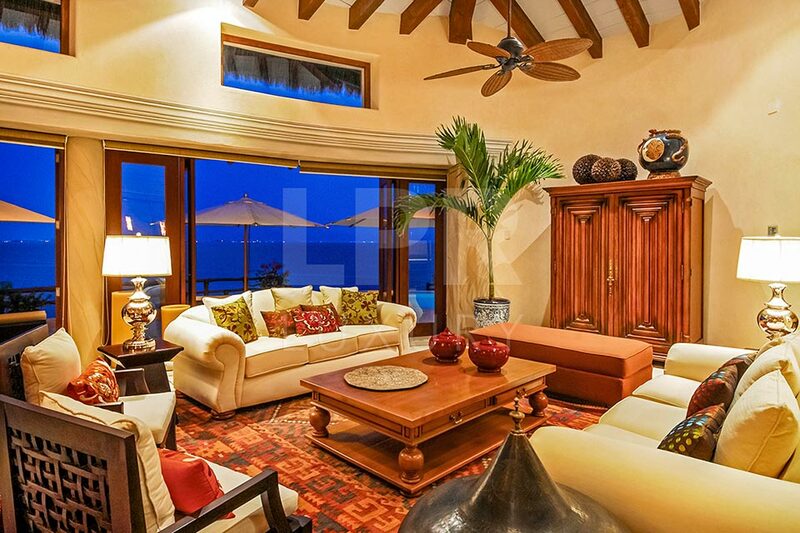 This residence is decorated in vibrant colors, with a huge palapa living area. 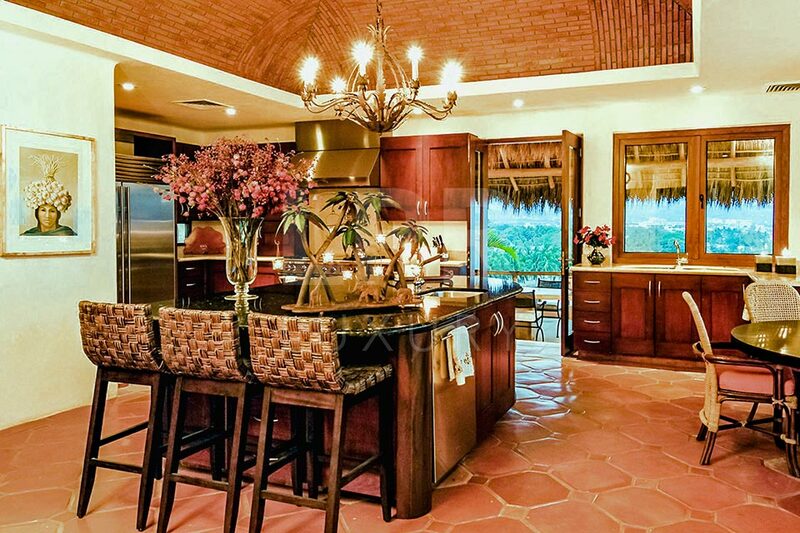 4 bedrooms / Sleeps 8 / Inquire Nestled among the estates and beautiful, lush gardens of Real del Mar, a high luxury, gated community on over 30 acres with multimillion dollar homes, this sumptuous villa has gorgeous sea views from all the rooms. 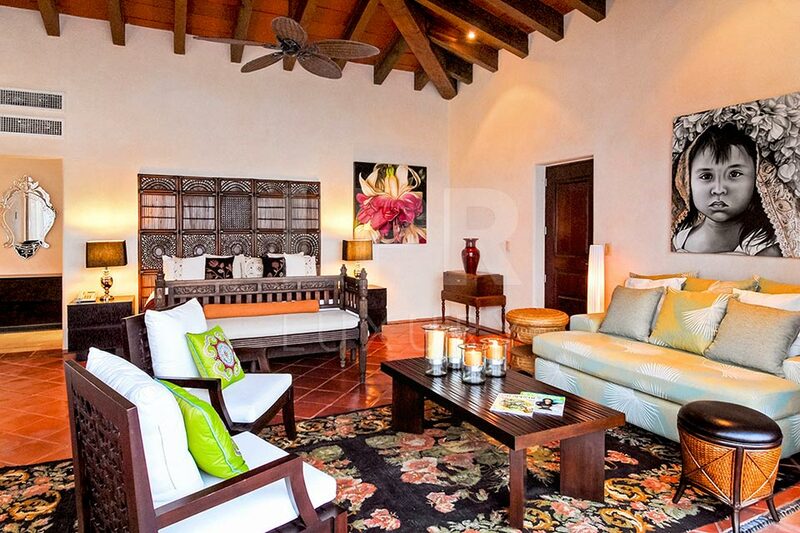 The deluxe condominiums at Aura, Arena Blanca, Punta de Mita are gorgeous. 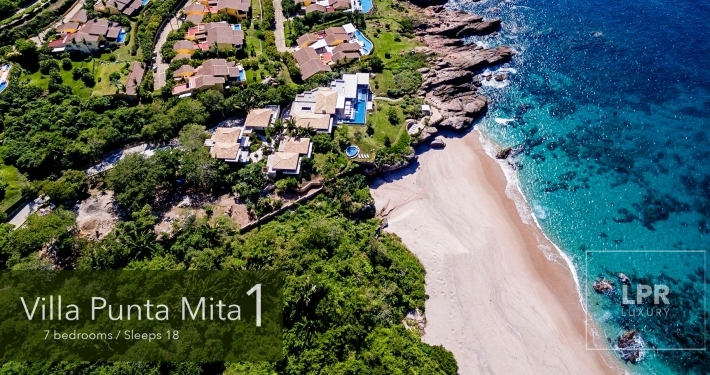 Unit 401 overlooks cascading pools, a private sandy cove and Puerto Vallarta in the distance.